I have goats and love them. If it tells you anything, I have a sticker that reads ‘Goat Mom’ on the back of my truck. Maybe it’s a little embarrassing for my passengers, but I want the world to know that I am a proud goat owner and just how much joy they bring to my day. That said, today you will learn everything you should know about feeding your goat. Hopefully, this will help you gain a little more knowledge before you bring your four-legged babies home. You have probably heard that goats will eat anything. I'll be honest; that's not true in my case. It doesn’t mean that some people don’t have goats that will eat practically anything. They might be, but mine just won’t. My pygmy was raised as a forager, so she is a healthier eater. She prefers hay and anything green. Whereas, the person I purchased my other goats from raised them on grains, so that is their preference. 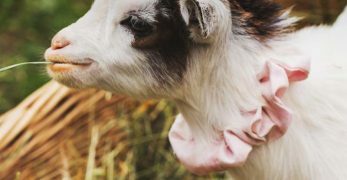 I’m going to give you the best feeds I’ve found for goats and feel free to tweak it until you find what works best for your variety. Goats need hay. Especially if they are not foragers. 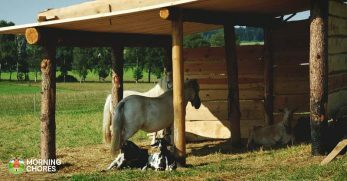 If you have a pasture, then you’ll only need to give them hay during the times of year when they can’t graze. If you don’t raise alfalfa, but you want your goats to get that extra protein, then feed them alfalfa hay twice per day while they forage too. My goats are not in a foraging situation, yet. They actually have their own lot while I’m working on fencing. A lot of my property is wooded, so I’m actually going to fence in an area for them to help clean up the brush in some of my wooded spots. 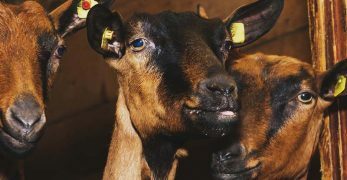 So regardless of your goat keeping situation, hay is a must and is the main part of a goat’s diet. I think I need to look into using this for my goats too. Chaffhaye is alfalfa or grass that has been cut early. They then cut it up into smaller chunks and spray it with molasses. Then they add a culture of Bacillus Subtillis and vacuum seal it into a 50-pound bag. The Chaffhaye will ferment while in the bag. 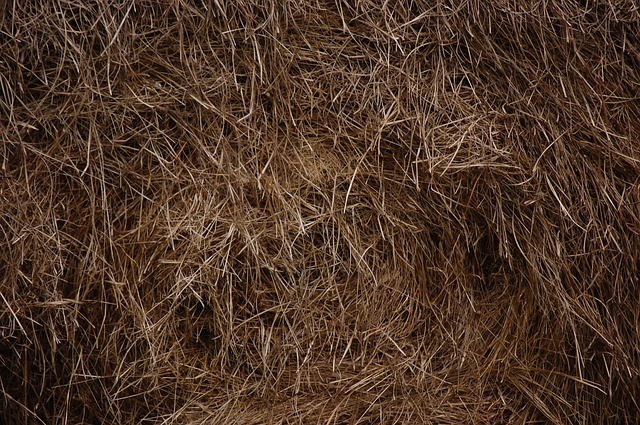 It adds good bacteria to the hay which makes it easier for the goats to digest. The fermentation process also adds more nutrients, minerals, and energy to their food. 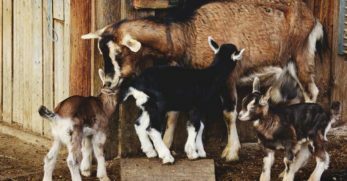 As you probably already know, the biggest danger in keeping goats is their digestive systems. If they get messed up, they can die very easily. So anything that adds good bacteria to their gut is a huge bonus. 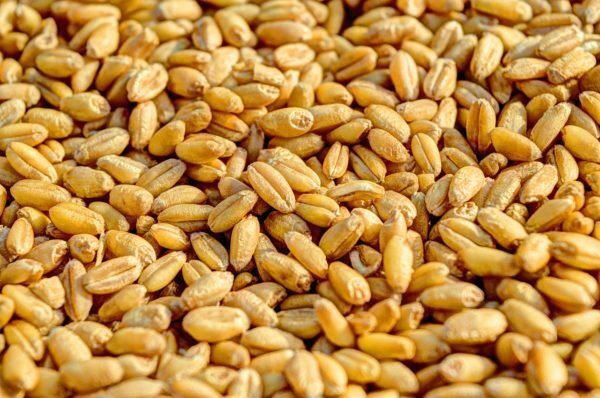 There are four different types of grains: whole, pelleted, rolled and texturized. Whole grains are the regular unprocessed grains. This is what I feed my goats along with hay. I usually feed them whole corn, but not a whole lot because too many grains is not good for them. I usually give about a cup per adult goat. My kids get a ½ cup. Pelleted grains are milled grains or grain byproduct that have then been turned into pellets with a binding agent. If I'm honest, I don’t really care for the pellets. I know many say they are great, and they come medicated. I am more of a naturalist goat owner. If I can’t pronounce what is in it, I don’t like feeding it to them. However, it is a personal call and many people do feed them pellets. So no judgment here if that is what you decide to go with. Rolled grains are the same as whole grains only they’ve been rolled. If I feed my goats oats then I usually get them rolled. They like oats, it just depends on which store I’m at for that week as to what they get. Then there are texturized grains. They are similar to rolled only they have other grains mixed with them to add extra nutrients. When I purchase sweet feed from our local feed mill then it is texturized and my goats love it. Goats love to snack too. 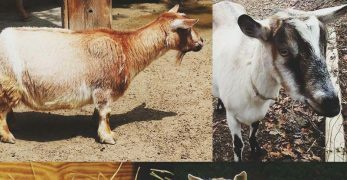 Try a variety of snacks to see which your goats prefer. Not every goat likes the same snack. One of my one goats will eat anything green. While my other goats will completely turn their noses up to most treats. My goats love sweet feed. However, you need to be careful in how much you feed them. There is no real nutritional value in it, and if you feed them too much of sweet feed, they become junk food junkies. Meaning, if I spoil my goats a little too much, they will wake me up screaming because they have a sweet tooth. It isn’t much fun. So I’ve learned to limit how much of this special treat they get. It also depends on what store you purchase your sweet feed. If I buy it from the chain store, there is basically no nutritional value in it whatsoever. However, if I purchase sweet feed from the local feed mill they add extra grains which ups the nutritional value. 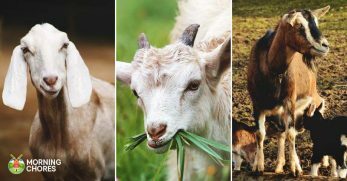 A variety of human foods are okay to feed your goats. Foods like fruits, dried fruits, veggies, graham crackers, cheerios, Cheetos, and even corn chips. It is basically at your discretion of what you want to try. Just be aware that snacks are just that. Too much of anything isn’t good for them. Goats that don’t get to forage especially love weeds. We are overrun with plantain; we’ll bring it to our goats by the buckets, and they love it. So they will be happy to snack on your weeds all day long. Goats like kudzu as well. We have a ton of that in my mother-in-law’s woods. You can just chop them out and they’ll make a buffet out of it. Go for it. As long as you make sure to give your goats hay (unless they forage). Supplements don't replace their food. However, if you want to switch out grains for other foods or if you want to give them their needed minerals without paying for the storebought versions there are ways of doing that. 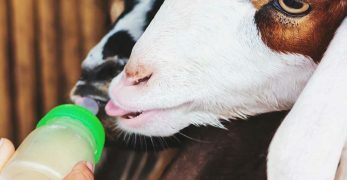 Just like human needs to take multi-vitamins to make sure our bodies get all of the required nutrients, goats need loose minerals for the same purpose. You can buy them loose or get them a mineral block that they lick. Either way, they will be happy to eat them, and you are doing your part to raise healthy goats. 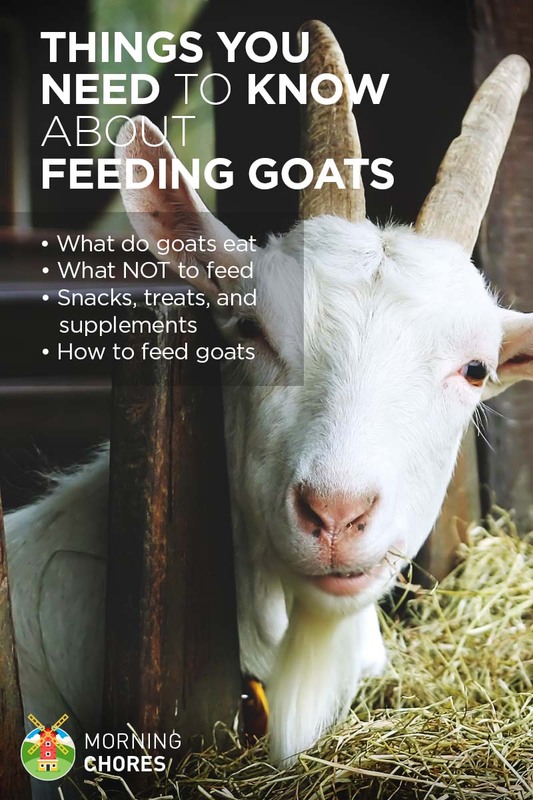 I haven't fed my goats baking soda but after reading the benefits, I’ll be starting now. Remember how I’ve repeatedly said how sensitive a goat’s digestive system is? 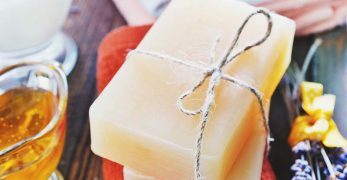 Well, baking soda can help keep things in check. You feed them baking soda freely with their loose minerals and this will help aid their digestion and stop bloat. You can buy beet pulp here. I looked it up and have not found a recipe for making your own. Though this would be an investment, the benefits are great so you might deem it to be worth the cost. Beet pulp is high in fiber, protein, and energy. So if your goat gets bored with the average goat feed then switch it up a little bit. They’ll be happier for it. I knew that these were good for my rabbits, but I had no idea all of the benefits they held for goats. Again, another item I will be adding to the list of things to try and feed them. 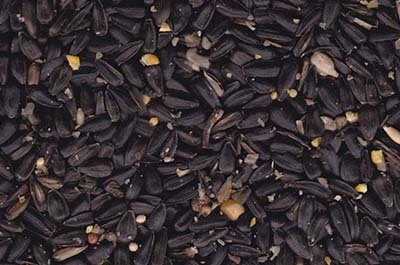 Black Oil Sunflower Seeds are high in Vitamin E, which helps with goat’s reproductive health and their muscles. They are also high in zinc, iron, and selenium. It will also make their coats shinier and will enrich the fat content in their milk. You can purchase black oil sunflower seeds here if you think you'd like to give them a try. Kelp meal is a great source of iodine. 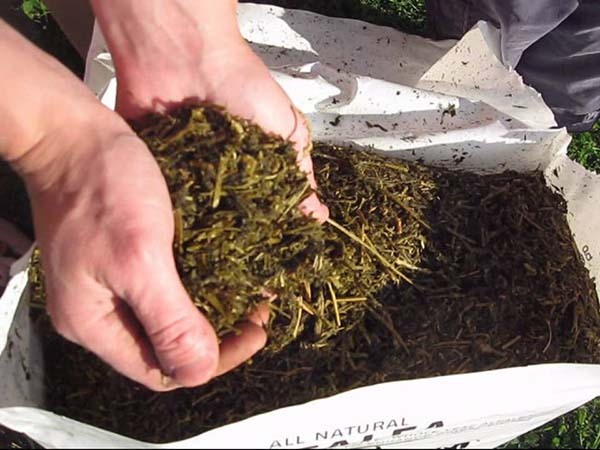 Another great benefit of your goats eating Kelp Meal is that it will increase their milk production too. So this would be an extremely helpful supplement for those that raise milking goats. You can purchase kelp meal here if you are interested. ACV is great for everyone. As a human, I try to take a teaspoon of apple cider vinegar that has mother in it daily because of all of the health benefits. So if we take it for health then why not the goats? You just add a little to their water every day. It is full of enzymes and minerals that help support a healthy immune system. If you are interested in giving ACV a try for your goats (or yourself), it can be purchased here, or try your hand at making it yourself. 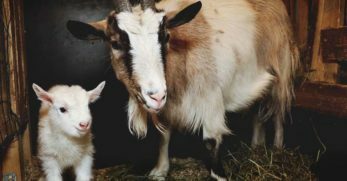 What Should You Not Feed Your Goats? There are quite a few items you should not feed your goats. Now, I want to mention the ones that are most common to all people no matter what area you live in. 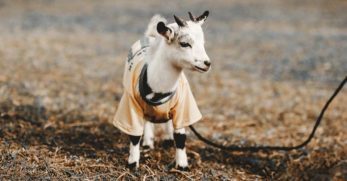 Here is a more in-depth list of items all over the globe that are potentially poisonous to your goat. If in doubt, always Google it. When it is feeding time around the homestead, it is important that you know how often to feed, how much to feed, and that you have the proper feeding equipment. So let’s get started on this important task. When it comes to hay, the proper amounts are 2-4 pounds per goat each day. Chaffhaye is 2 pounds per 100 pounds of body weight. In reality, if you feed hay freely they’ll eat what they need to, and it won’t hurt them. However, grains are a different story. If you feed your goats too many grains, it can actually kill them. 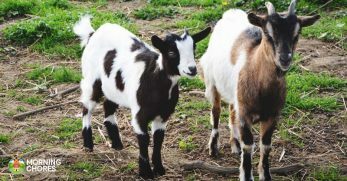 It is important that you do not feed your adult goats more than 1 ½ pounds of grain per day. The kids require even less grain than that. As I said previously, I usually feed each adult goat a cup of grains a day. My kids usually get around a ½ cup of grains a day. 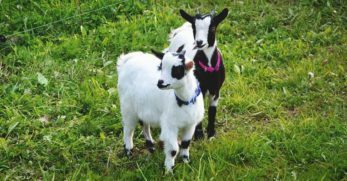 If your goats forage, then you may or may not need to give them hay 1-2 times a day. You can give them their grains in one setting or two. It is your choice. My goats do not forage so I feed them all of their goodies one time per day. I will give them little snacks throughout the day sometimes just because I like to hang out with my goats. You will need a hay feeder. Goats will not eat their food once it has been trampled. So be sure to buy or make them a hay feeder. It will make sure less of your feed goes to waste. 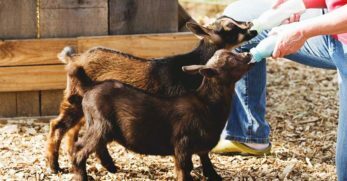 Your goats will waste grains if it is not in an easily accessible dish. And once those grains hit the ground they are done. Goats just won’t touch it. Weird, I know, but they won’t. So you can buy them a grain feeder, or you can do as I do. I use a galvanized tub to feed my goats. If I’m going away on a trip, then I’ll use a sturdy under the bed box to make sure my goats have ample amount of feed while I’m gone. 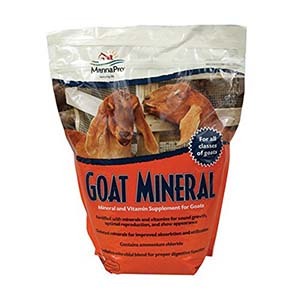 If you are going to feed your goats minerals, then you’ll need a mineral feeder. It will help to stop waste. You can also go with a mineral block. If so you’ll need a holder for that as well. 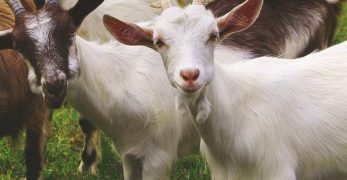 You can purchase a mineral feeder or a mineral block holder to make giving your goats their minerals that much easier. Goats require quite a bit of water. You can purchase a waterer or do as I do. Again, I just use a large galvanized tub. You can also use a rain barrel to save water. It does the trick, and my goats don’t ever turn it over as the water helps weigh it down. Need another idea for a waterer? Try this one. Well, my goat friends, that is all I have for you today. 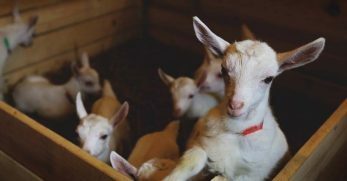 I hope this gives you all of the information you needed for your four-legged goat babies.